We’re pool people. We know that a swimming pool is a lot of work, but owning one is worth the attention. If you’re tired of handling messy chemicals and guessing about what to add to your pool or spa, let us take care of all the maintenance details for you. We are a full-service company with your best interests in mind. We can clean, perform chemical service, and open and close pools, making the demands of pool ownership easier and allowing you to spend more time enjoying your investment. In addition to chemical and cleaning services, we offer general repair services. Our professional technicians can repair or replace faulty equipment such as pumps, filters, motors and more. We are proud to provide high-quality repair services that you can depend on. Let us do the work and keep your pool running smoothly. 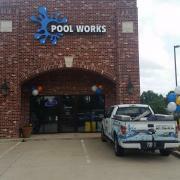 Whatever your pool service needs are, we will be there to help. We are committed to outstanding quality and dependability. Our team is fast, efficient, and on time so you never miss an important maintenance task. Call us to schedule an appointment today!